I just attended the #COER Online Event, though a little bit late, and I come to the conclusion that assigning licenses to Open Educational Resources (OER) is quite tricky, at least in Germany, involving a lot of pitfalls. 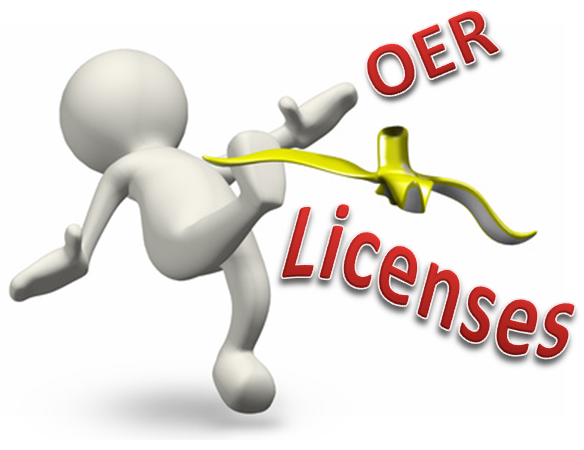 Are legal issues preventing OER development? Might this complicated legal clutter, discourage people to provide their own OER. Well, I am definitely concerned about the legal issues, and hearing the even the expert Matthias Spielkamp from iRights.info, struggled sometimes to provide answers to the question asked in the chat, does not really reassure me. However, this week’s task to create an OER and license them might bring light into my darkness, regarding OER licenses.